Thailand (10): Thailand is a major tourist destination with world famous beaches, sights, and cultural attractions. Moreover, the Thai golf experience is unique and every golfer should try a Thailand golf trip to find out what all the buzz is about. Ireland (6): Golf in Ireland can be reasonable or expensive. There are many unknown courses with low green fees to choose from. However, the famous ones and better resorts during the warmer summer months start to get pricey as could be expected. Thailand (8): Green fees at Thailand’s bet courses match what one would pay in Europe. However, accommodations, transportation, dining, and entertainment are all very affordable making overall trip costs lower than average. 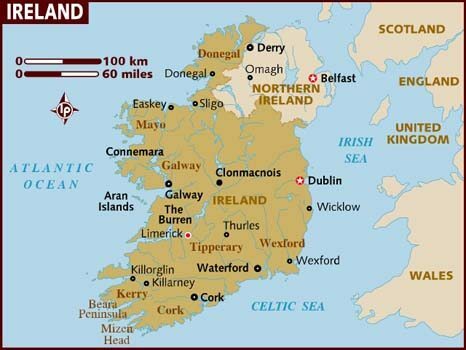 Ireland (7.65): Ireland undoubtedly has some of the world’s best links courses and much better golf than Thailand. However, weather can be a factor for some and getting to/from Ireland can be a journey in itself, especially from places like Australia or the west coast of the USA.